Tried CGM? Pump?…and Went Off…..YOU FAILED!!!! !……..Hmmmmm Really? I have a friend; let’s call her K. K has a son, let’s call him Z. I have known K for a very long time and she was an incredible actress. I thought nothing could ever surpass her talent, but it did, it was K’s incredible and wonderful heart. She is an incredible mom and her family has become her life. It’s not surprising in the least. Recently K share a story about her son who was on a football team. Z decided that playing football was not for him. Despite the uniform, the money laid out, and the time invested, once Z stated and meant that he wanted out; K allowed him to get out. She applauded her son for letting her know how he felt and she backed his decision. Z no longer plays football. Now to some this may seem a very easy choice. But I also know parents who kept their child involved in things that the child absolutely hated. “I need to teach them that they cannot quit something once they commit.” Is their thought process. This is a very fine line to walk and the discussion relates directly to our diabetes world. Laying out money for an insulin pump and/or a CGM is a big investment in both time and money. At what point are we doing what is best for our child and what point are we absolutely torturing our child? Now it’s understood that our children may absolutely HATE checking blood sugar and taking insulin and of course we cannot ever stop that process no matter what, but………when it comes to the devices that our children wear, when is the decision a must; and when is it a cooperative decision with our children? A tough line to draw in the sand….yes? Okay. So the decision has been made. You are approved and you receive the device, your child wears it. Tries it. And after a given time………THEY ABSOLUTELY HATE IT. Hate IT!!!!!! IN actuality, I’m not asking THAT question. That’s for you to conclude in your house. My point is for those who come to the decision to remove the device and try managing without it. It’s crucial that should/when that decision be made that neither you and especially your child, are ever made to feel as though you failed, and even more so, that your child failed. I’m a HUGE FAN of both the insulin pump and the CGM. But it’s easy to be a fan when I do not have to wear either/both 24/7. My dear, late, friend Dr. Richard Rubin’s voice is very loud and clear in my head in these instances. “It’s about choices.” Discuss the choices ahead for you and your child. If they are absolutely against it, forcing them could have an adverse impact for a long time. Be careful. I’m not going to even attempt giving you a formula for what works and what does not in these instances because it’s just so different with each person/family. I am going to say that people lived very long lives without, and before, the addition of these incredible tools. Not using one, or going on one and going off one, is not the sign of failing and do not let anyone tell you otherwise. How you handle this situation will set the framework for the possibility of using a device in the future. People, our kids too, can change their mind. Allowing them do so, for or against, is a very important part of their management. The only non-negotiable (outside of checking and taking insulin of course–and even at that, my friend Joe S. and 50 years with diabetes states that a ‘vacation’ to some days is worthy to do very carefully—-ask Joe about how to do that!!!!) was the wearing of their ‘alert’ bracelet or necklace. Everything else became a choice. For the most part we came to a mutual decision and even when Kaitlyn was pretty young, it went that way as well. Easy? Nope. So the take-away here is defining what a failure IS NOT. It’s not about deciding against something. Just as K’s son, Z, made the choice that football was not for him. Not a life and death decision surely, but how K let this play out was very important and a lesson to be learned. It was handled perfectly. Failure is staying in something that is just wrong. How you define that is up to you and/or your child. Think about it. Insulin Pump? CGM? One Choice……What Do You Choose? A Needed Dialogue. So, say you are speaking to a newly diagnosed parent. They are slowly coming around to understanding this new thing called diabetes and the doctor starts to inform them that it’s time to start thinking of having their child consider an insulin pump. The conversation and the plans begin. But is that an error? Well not really an error, but let’s just say we have a choice of one because you do not want to experience your child being on two different devices from the get-go; you have a choice of one. Is the insulin pump the choice? Or do you go with a continuous glucose monitor (CGM)? 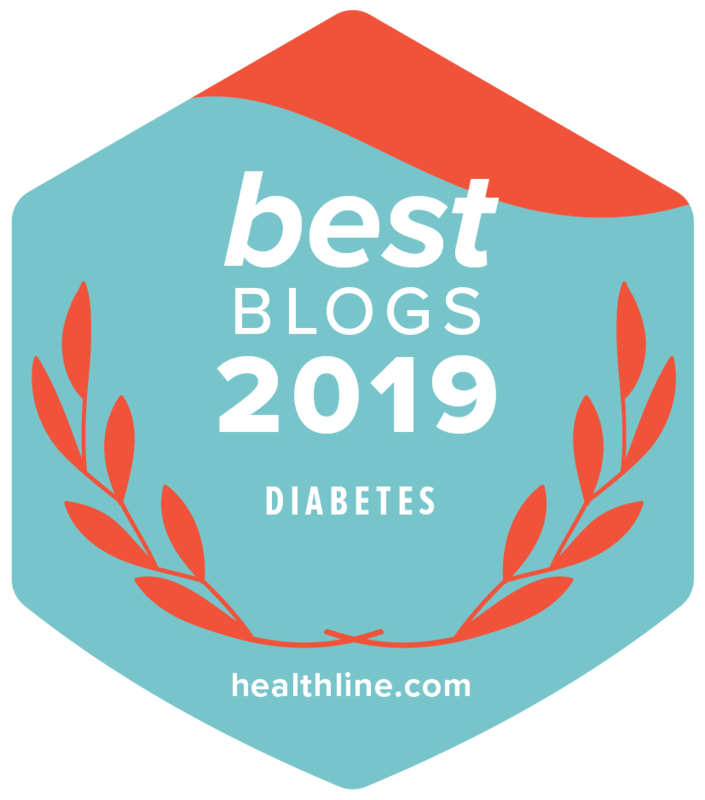 Conventional wisdom seems to be that ‘the pump’ is the way most practices tend to lean and I’m just not so sure anymore that the insulin pump is my first choice anymore; and I want to tell you why? Very quickly; the insulin pump has insulin entering your body 24/7 and before each meal you dose more to cover the food about to be eaten. The CGM is a device worn that checks blood sugar continuously and blood sugar readings are constant, and also if one is trending high and/or low the device informs of that as well. To be clear—-they are both incredible marvels of research and development and given the choice, I think anyone would/should be wearing both. Because I believe knowledge is good and the more knowledge in front of you, the better care in making decisions. I also do not have diabetes and I have never worn either device for any length of time over 5 days; so the decision to wear both, one, or none; is up to each individual/family. I want to be clear about this from the get-go. But I also believe in dialogue for that is how we all learn. So for the sake of this discussion, the choice is that your child will not hear of wearing two devices; the choice is one—–which one is the choice? I get that if your child is old enough you will speak to them and discuss it, and a decision will be made. But is there a choice of one device over another? Yes, it is everyone’s individual choice; but what do you choose and why? 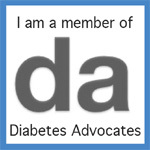 I would REALLY love input from adults living with T1D, as well as parents. But before I tell you why to my reasons, I want you to know that I want you chime-in on this because it is a very important issue and decision. I’m not saying I’m right, and I want to present all thoughts because newly diagnosed families will see this and I want them to see both sides of the discussion. But you cannot just ‘chime in’ with just a choice, kindly give the why as well. If I was back at the beginning (when Kaitlyn was diagnosed; CGM was barely a dream and pumps were really in their infancy on general use—-the take-away here is also that the development and research in the diabetes world is moving faster than you think, although never fast enough) and the choice was only one, I would choose a CGM. I say that based on a few observations. With one child choosing MDI (multiple daily injections) and one child on an insulin pump; I have the luxury (THAT is not the right word here) of observing both means of insulin delivery. When done correctly, both seem to work with people very well. They adjust and they make both means of delivering insulin work, and work well. The ‘pain’ of shots with the ‘pens’ is so much less than it used to be. The decision of both is based on the level of glucose. No adjustments can/should be made without knowing one’s blood glucose level. If you were able to know what your blood sugar was, not only at a given-moment-in-time, but also knowing which direction one was ‘trending’ in a certain direction; you can make choices to avoid swings. If you can avoid swings, you can also avoid(lessen) those horrible feelings of being both very high or being very low. Getting the ‘insulin in’ is crucial, but having a window of seeing blood glucose is worth its weight in gold. It is ‘those numbers’ of which everything you do is based, so it just makes sense to me that the clearer that picture is, the better the choice of ‘what to do next’ can be answered? So given that I must make a choice, I’m wearing a CGM. But that’s me. What do you say? Kindly post your answers as a reply to this article so everyone can share in reading the discussion.